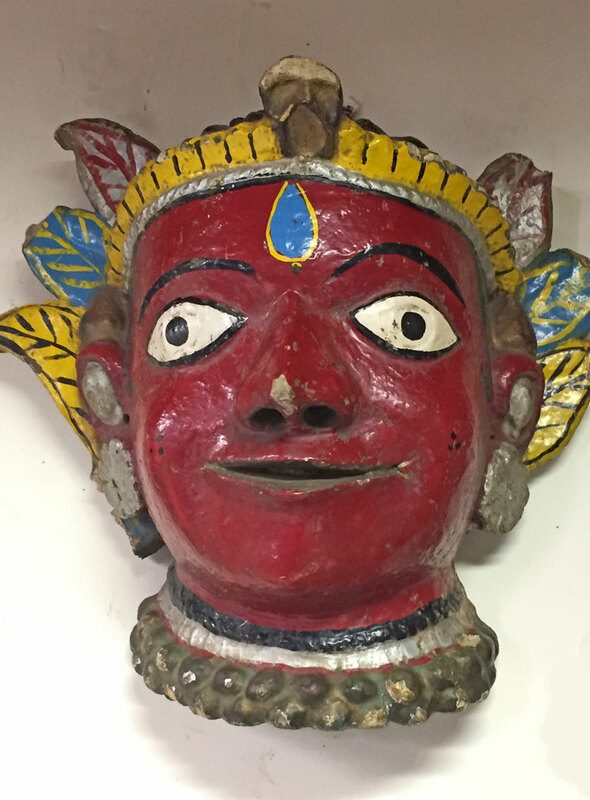 Colonial India or more recent Nepal? 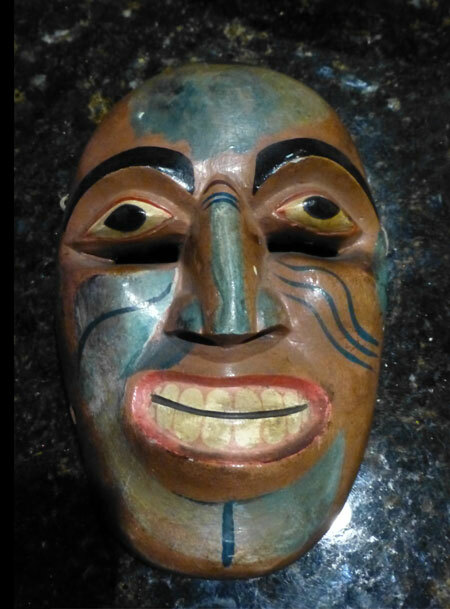 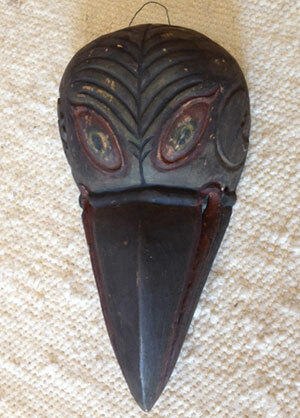 Q: I bought this in a sale in the 1970’s and still don’t know where it came from or how old it might be. 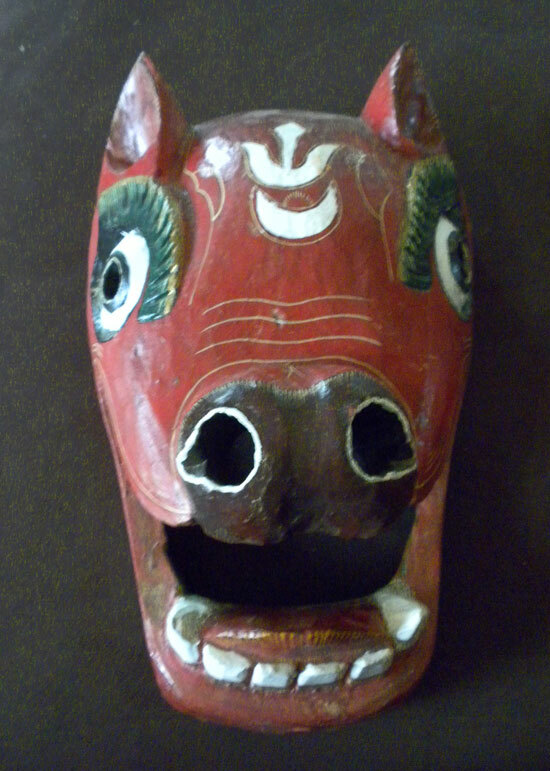 Since then it has been in my attic. 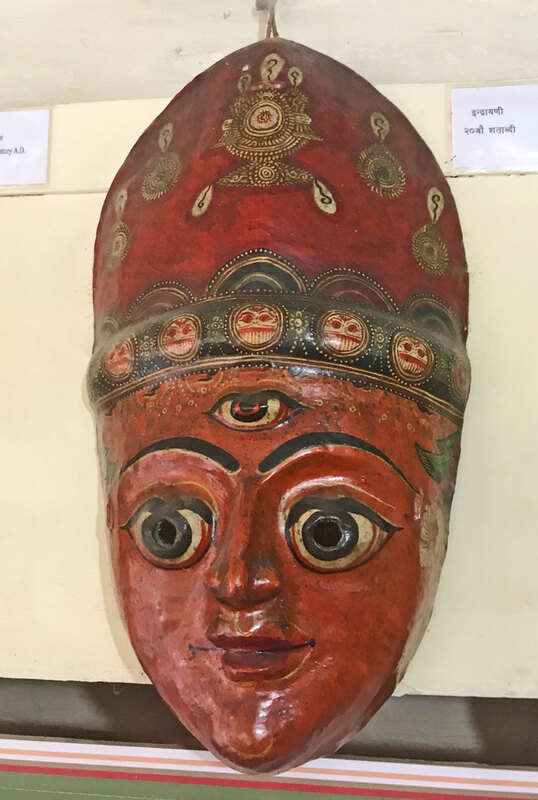 Do you have any ideas? 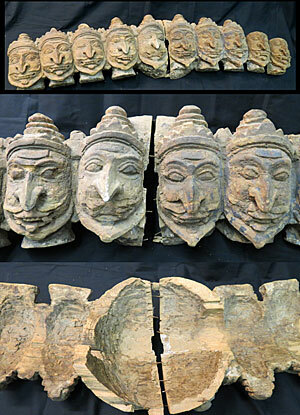 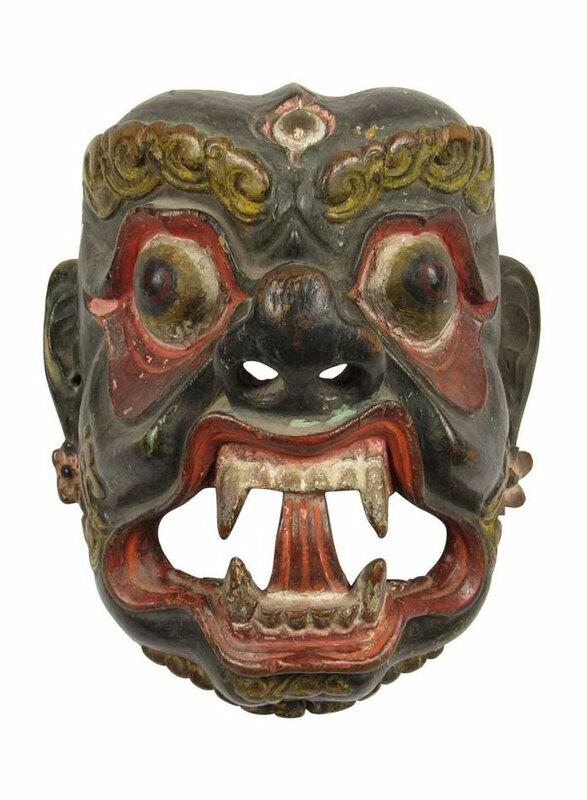 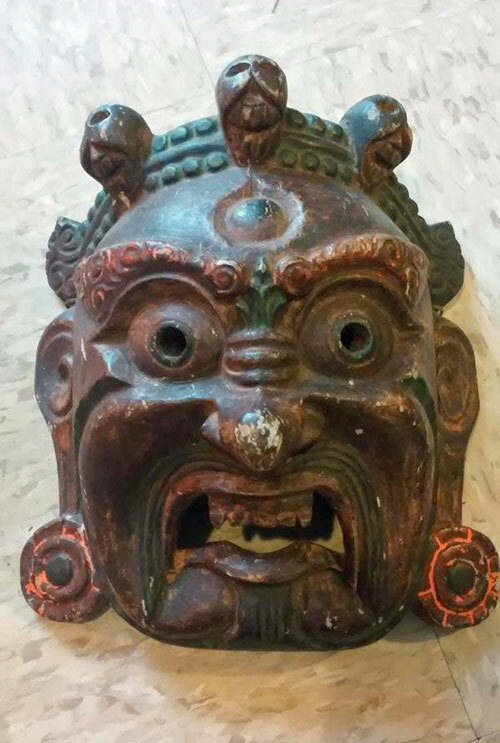 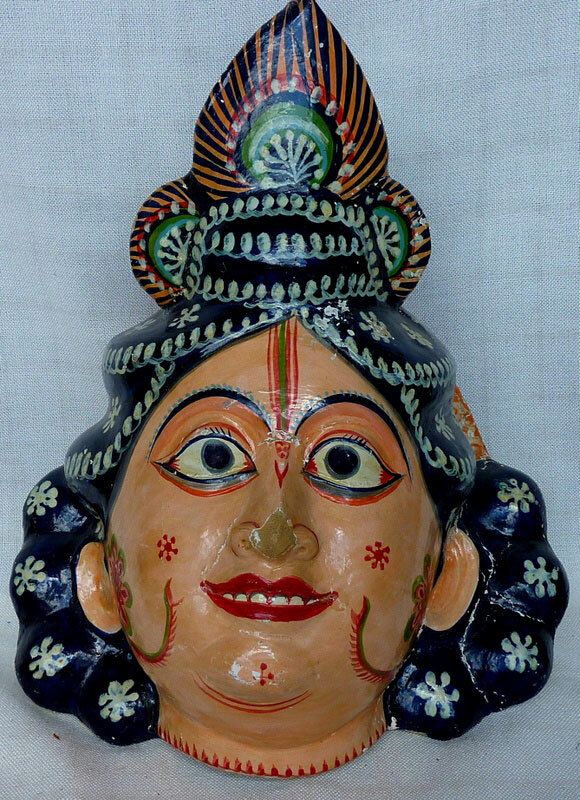 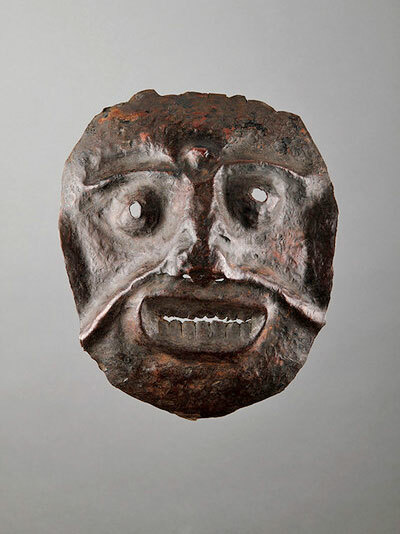 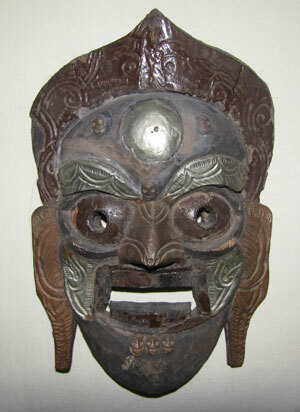 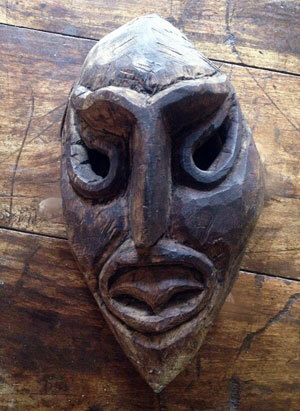 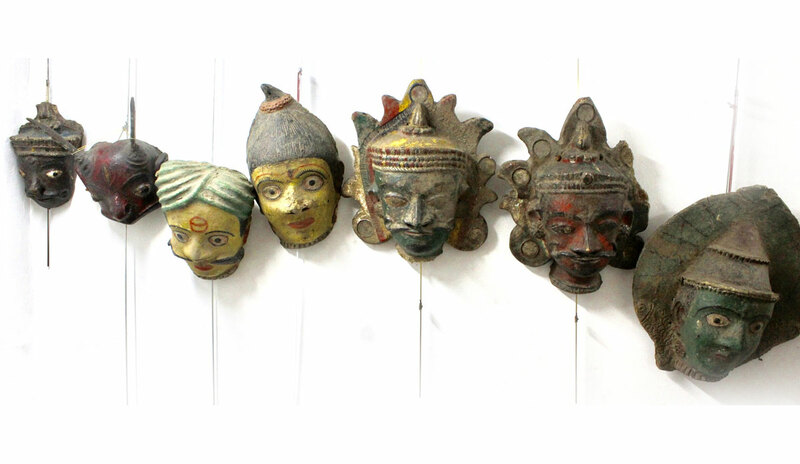 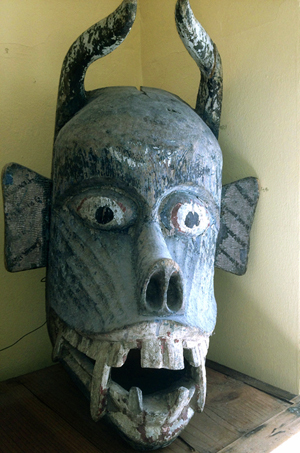 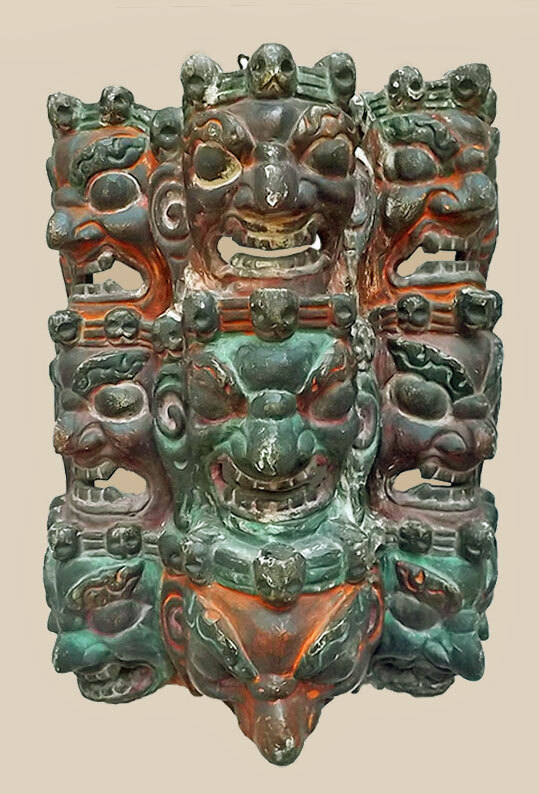 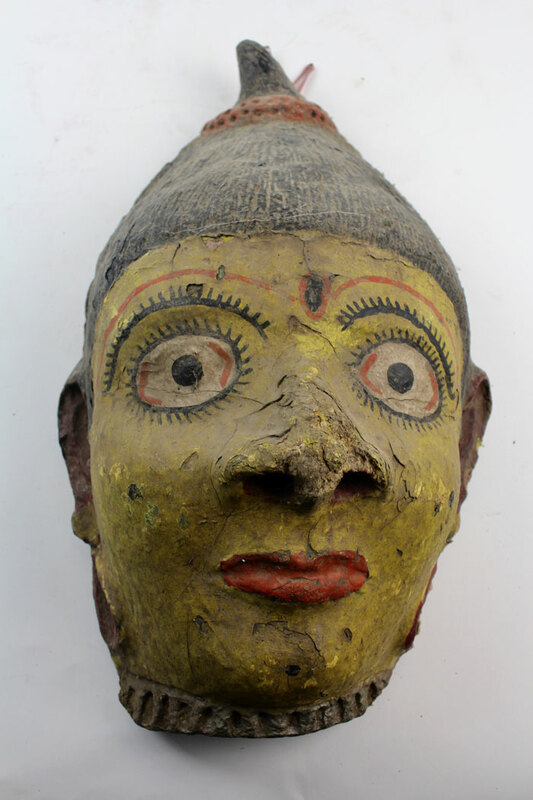 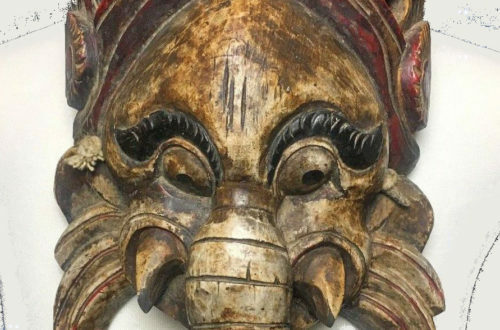 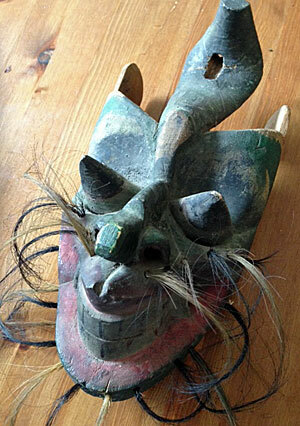 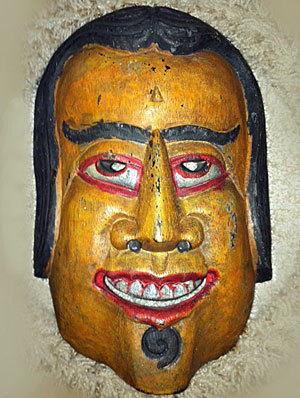 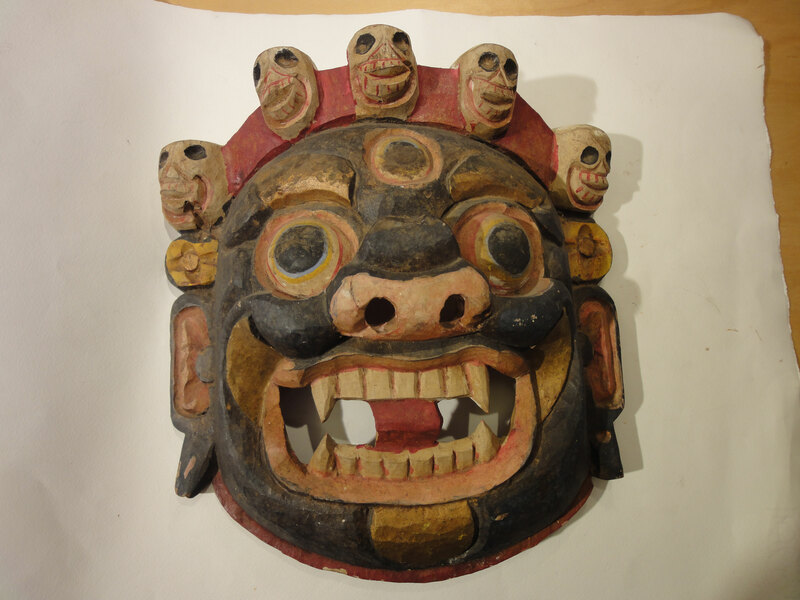 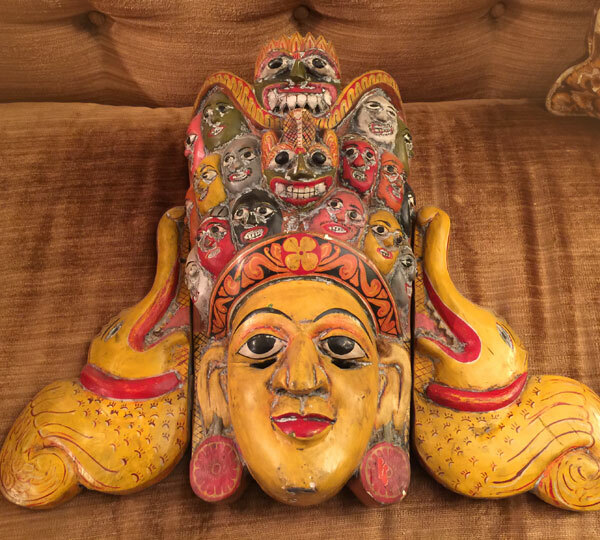 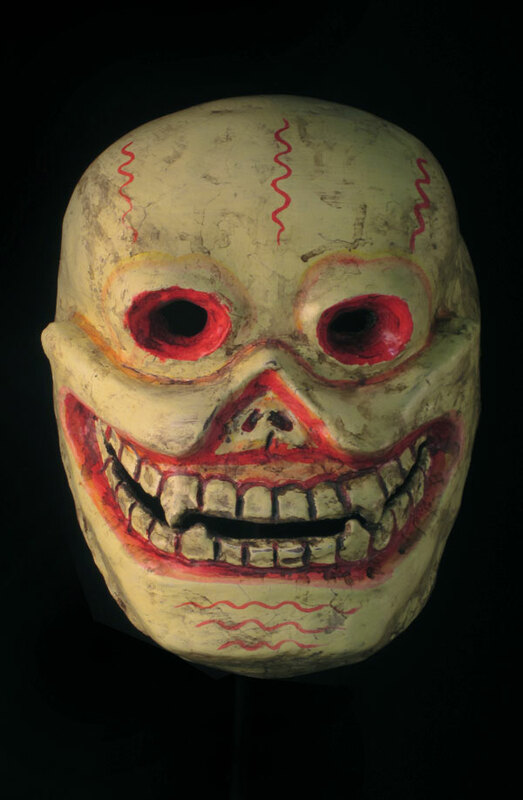 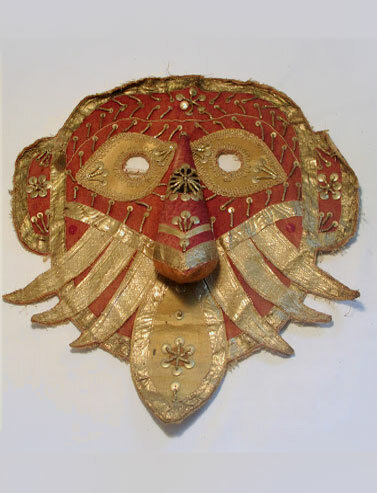 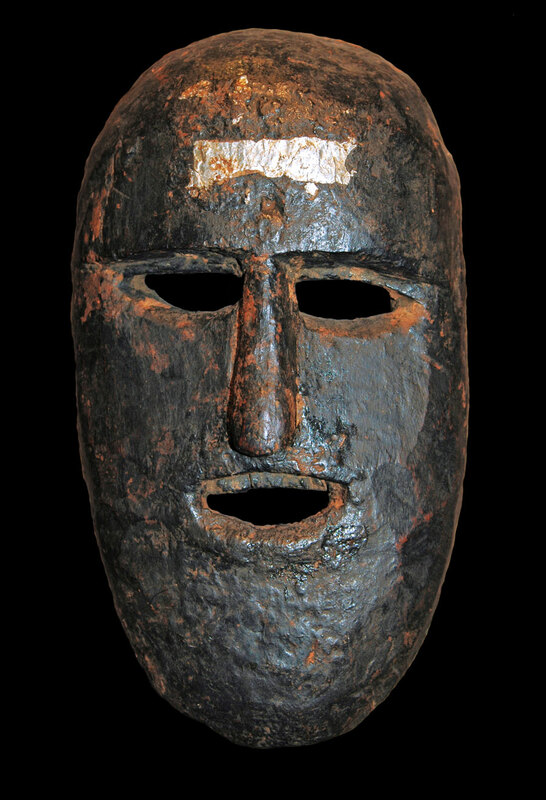 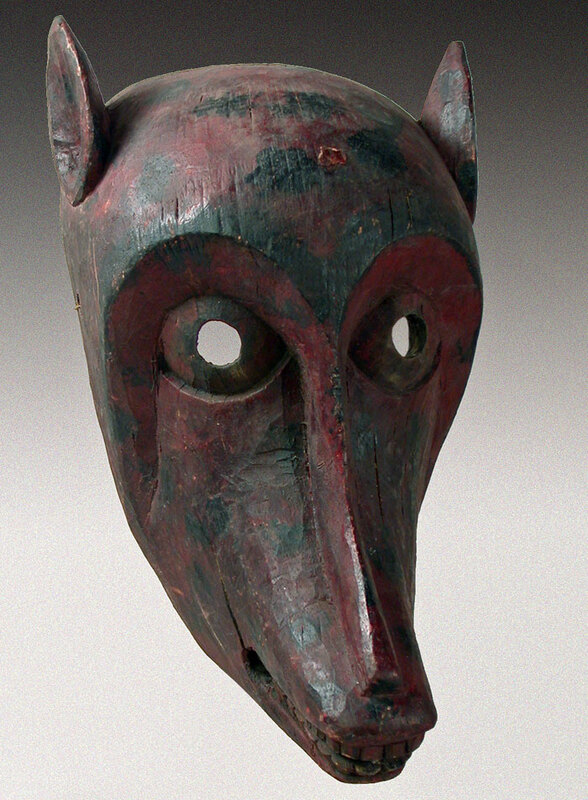 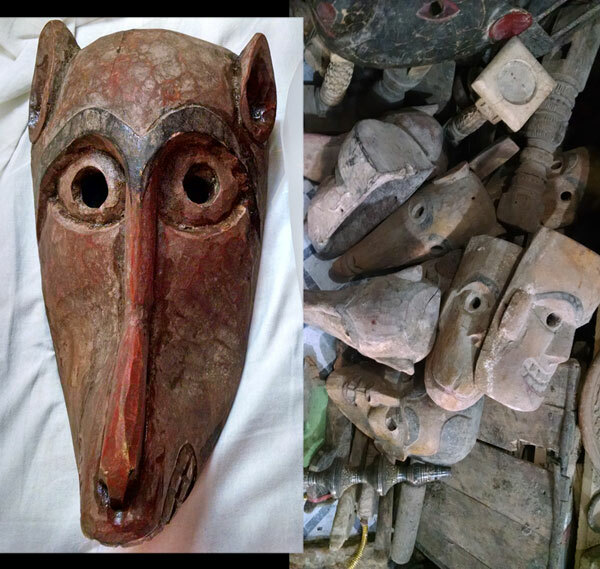 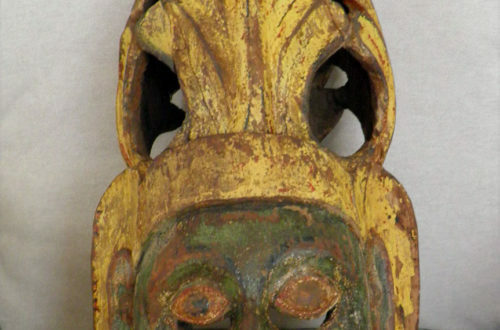 Andrew, 1185 A: This is a large Sri Lankan mask probably representing the demon, Maura Raksha. 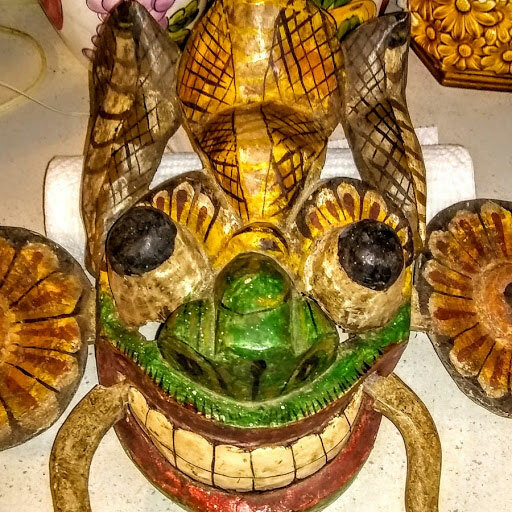 Do a little research on Google and you to learn more. 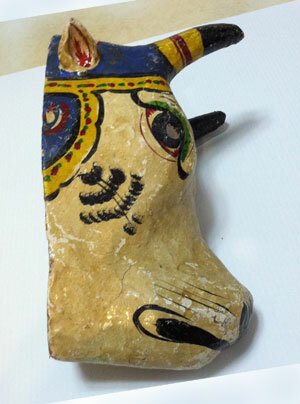 I my opinion, it is a very decorative piece. 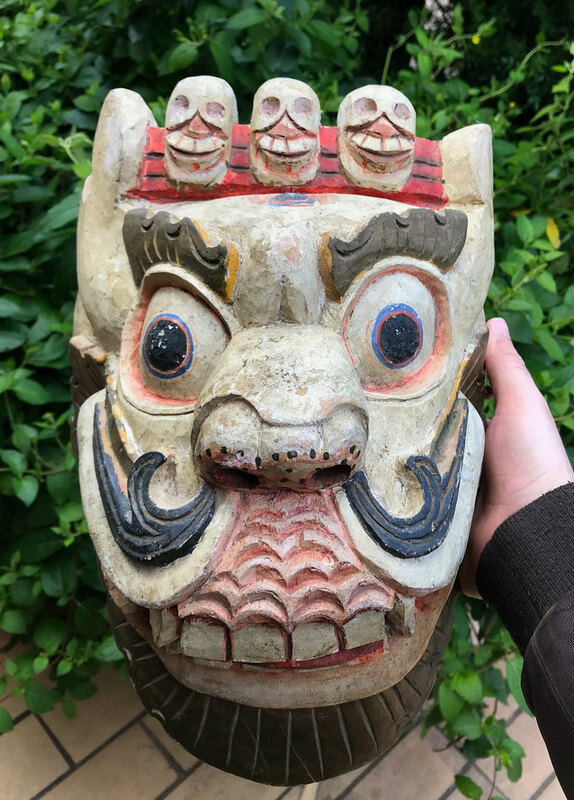 It is probably 50-75 years old. 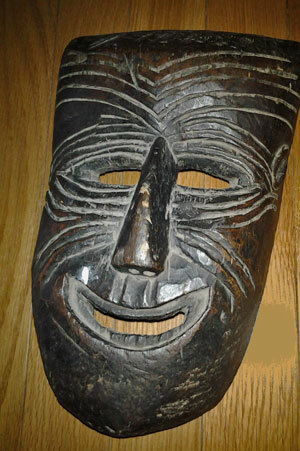 Though it was never used, it is a great carving. 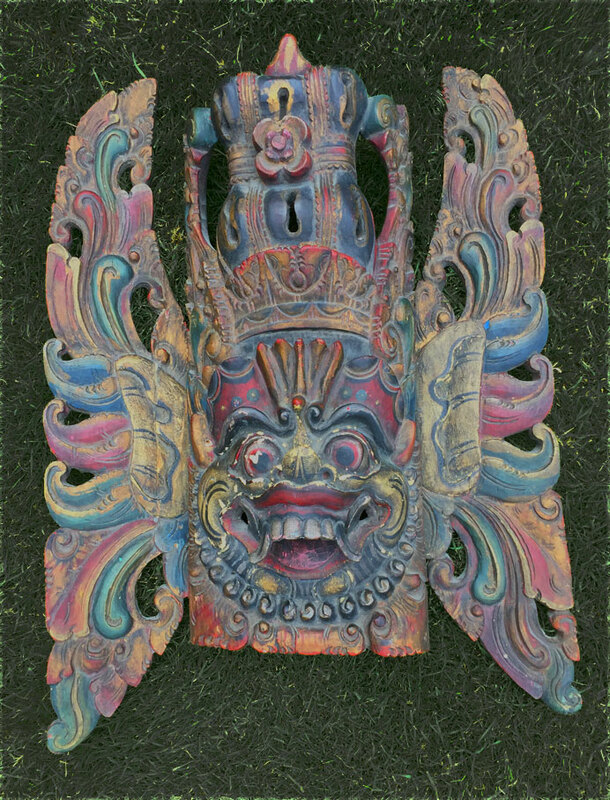 Try getting the color restored… if it doesn’t cost too much. 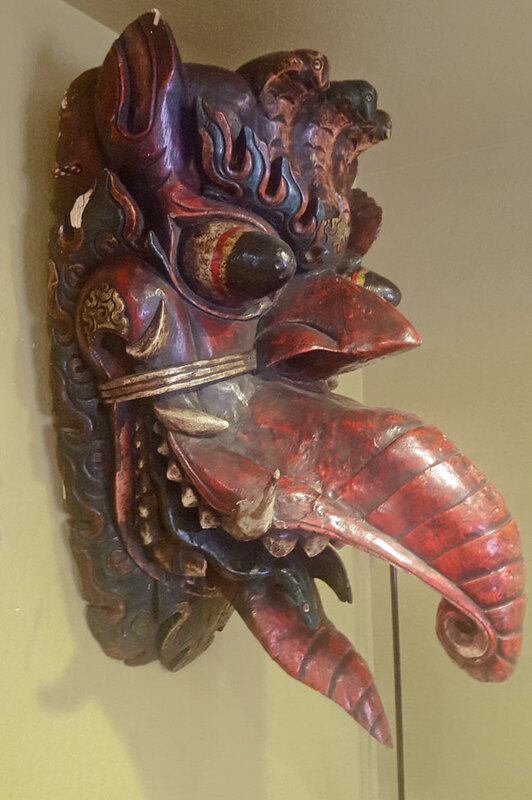 Enjoy this nice piece of art.